Liew Yuen Sien was just 26 when, in 1927, she gave up the adventurous life of a globe-trotting journalist to become principal of Nanyang Girls’ School. She remained principal for nearly 40 years, playing a key role in shaping the values and lives of generations of Singapore women. 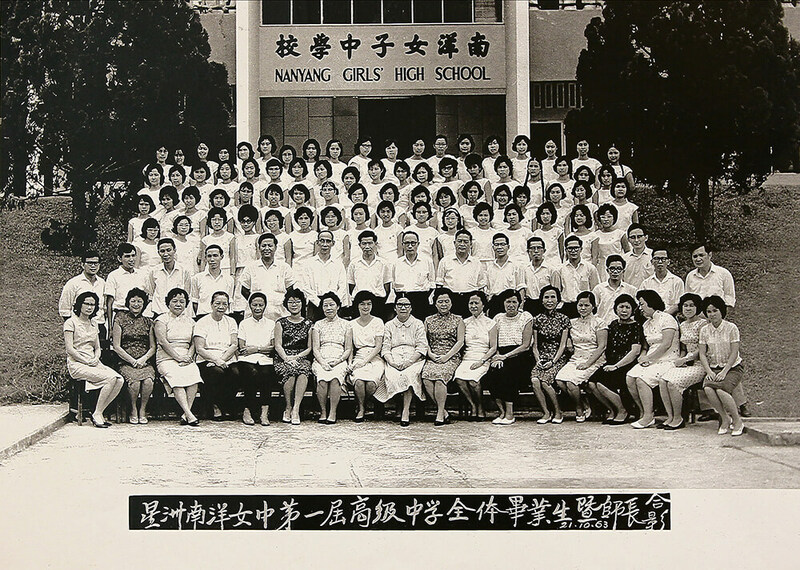 Nanyang Girls’ School, now known as Nanyang Girls’ High School (NYGH), was founded in 1917 by a group of Chinese businessmen and intellectuals who belonged to Sun Yat-sen’s Chinese United League. At that time most parents believed that only boys needed to be educated. There were some, however, who thought it important to educate girls and NYGH began with about 100 students. Yuen Sien, born in 1901 to a wealthy family in Jiangxi, China, was an idealistic and independent-minded young woman. After high school in Hunan, she taught for a while before moving to Beijing for her university education. In 1923 she travelled to Cuba and San Francisco and worked as a journalist. She then went to Rangoon, Burma and found a job as a journalist and editor of a newspaper. It was here that she first met Fu Wu Men, who would later become her husband. After some time in Rangoon, she went to France, where she and Wu Men met again and got married. It was, at that time, unusual for a young Chinese woman to travel so extensively on her own. In 1927, Yuen Sien and her husband came to Singapore. Their plan was to return to China, but NYGH was then looking for a new principal and Yuen Sien was offered the job. Inspired by the founders’ vision for the school, she accepted the offer. 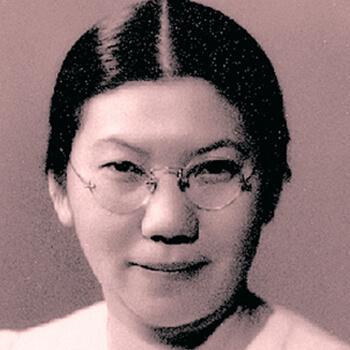 A firm believer in women’s rights, Yuen Sien saw the education of girls as critically important. She was determined to make NYGH an outstanding school. She revamped the curriculum and made Mandarin (instead of Hokkien) the medium of instruction. She visited China often to learn about new teaching methods and to hire good teachers. In 1930, she created the Primary School Examination Standard with the Chinese Industrial and Commercial Continuation School and the Fujian Clan Association in order to standardise the primary six examination at NYGH and other Chinese schools. After the 2nd World War she revived the school, and gave it its motto of 勤慎端朴 –diligence, prudence, respectability and simplicity. 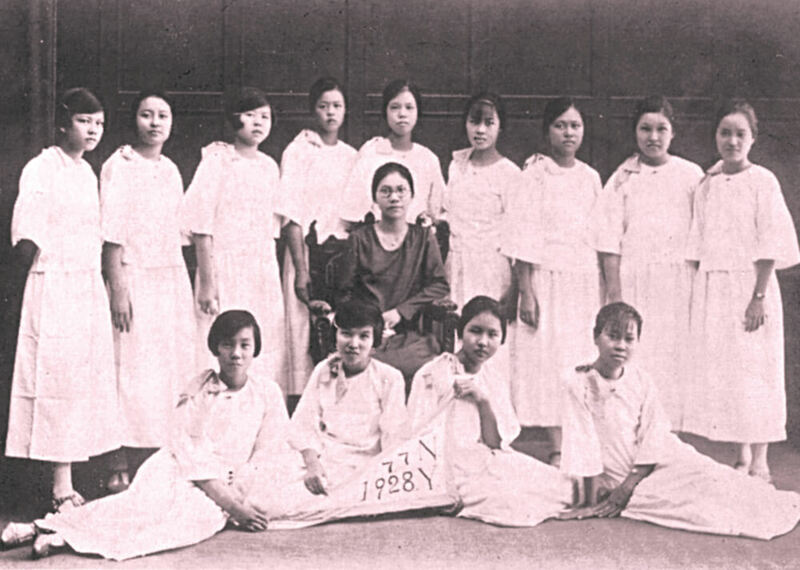 By 1946, Nanyang Girls’ had become one of the largest Chinese schools in Singapore with about 1,400 students. The late 1940s saw the growth of the leftist, anti-colonial movement. In October 1950, Yuen Sien was splashed with acid by a young Chinese attacker and suffered serious burns on her face, eyes, neck and chest. Yuen Sien and the Board had agreed, in what seemed like a pro-colonial move, to accept the tightened controls that the British imposed on Chinese schools to curb the alleged use of schools as tools for anti-colonial political propaganda. In February 1951, Yuen Sien was sent to America for treatment. She made a full recovery and returned to Singapore in 1954. On her way back, she stopped in England to study the British education system. Yuen Sien believed that a good education meant not just a child’s intellectual development but also her physical and emotional growth. She hired two physical education instructors from China – Wang Zhihui and Zheng Jiede – who were to contribute significantly to the nurturing of athletes in the school. Nanyang was the name that dominated at Malayan Chinese sporting events. Yuen Sien retired in 1966. In her nearly 40 years as NYGH principal, the school grew from a few hundred girls to some two thousand and it moved from Dhoby Ghaut to a spacious campus at King’s Road. Under her leadership, NYGH developed a “through-train” system that encompasses a kindergarten, a primary school, a secondary school, and a higher-secondary school (pre-university equivalent). It also has a hostel for students from Singapore and the region. In 1940, Yuen Sien was given an “Overseas Chinese Educator Award” by the Republic of China Government. In 1958 she was awarded the Order of British Empire (OBE) by the Queen of Britain for her contribution to the education of women in Singapore. In 1967, she was awarded the Bintang Bakti Masyarakat (Public Service Star) by President Yusof Ishak for her service to Singapore in the area of education.